Due to a huge shipment we received recently, we are able to offer original Gibson USA Guitars and Basses at unbelievably low prices! Incredibly versatile: the 9-ply multi laminate thru neck made from mahogany and walnut features a classic rounded profile. The 34” scale of the Gibson 2015 Thunderbird also ensures for great playability, stiff response and over-tone rich sound. Equipped with fat rhythm EB Bass Humbucker in the neck position and a Lead EB Bass Humbucker in the bridge position, the Thunderbird is able to cover a wide sound spectrum. From fat Low End Growl and Reggae to transparent Jazz, it will satisfy the demands of every bassist. The full-contact hardware three point bridge, designed by Jeff Babicz, is responsible for the great resonating transmission, while the two mahogany wings of this Bass give it that characteristic Thunderbird form. 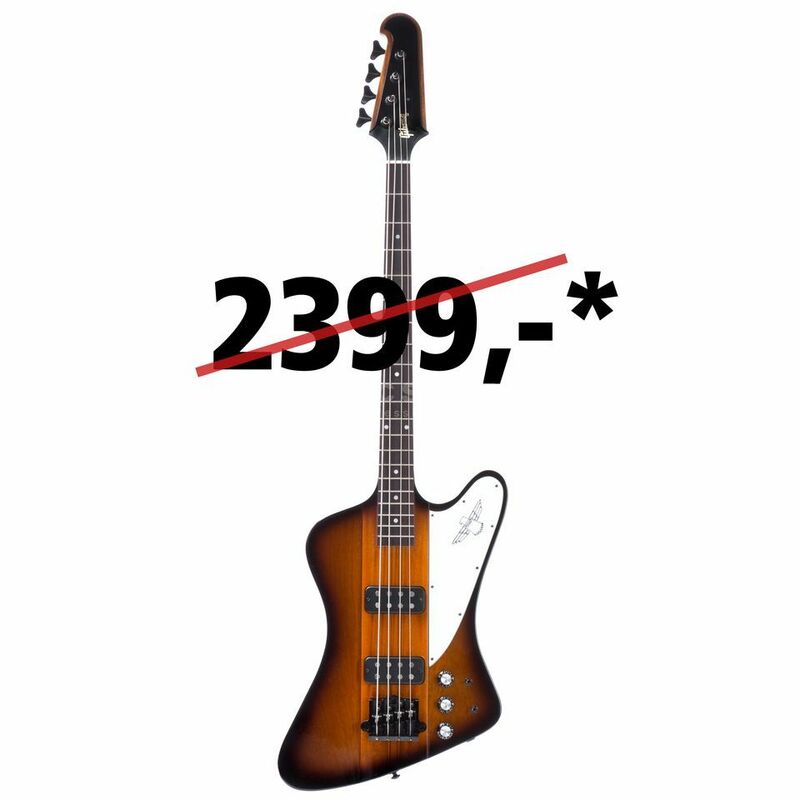 The Gibson Thunderbird 2015 Bass comes in a Gibson hard-shell case with handbook!